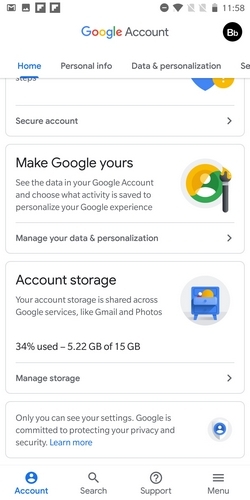 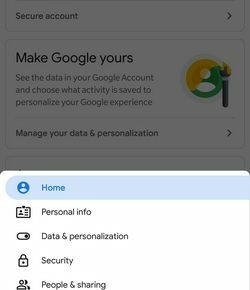 Google’s redesign for the ‘My Account’ settings section on Android was leaked during the testing phase, and the makeover with Material Design Theme is now live for all users. 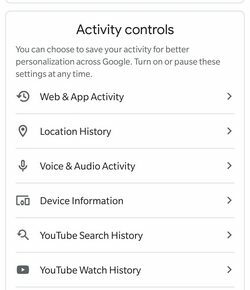 Besides surfacing various settings in your Google Account section, it also gives users a snapshot of their account activity. 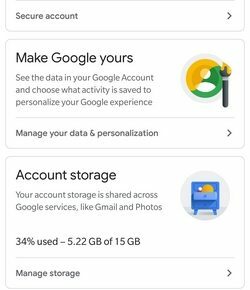 You can check the new design of the Google Account settings section by heading over to the Settings > Google > Google Account to access the new layout, which now looks much cleaner. 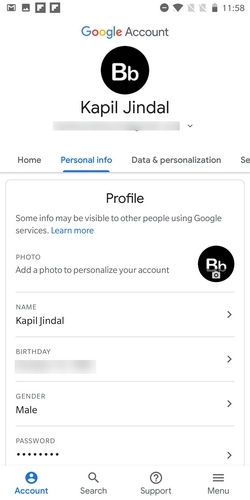 The homepage features the Google account profile image at the top, with your name and the active Google account below it. 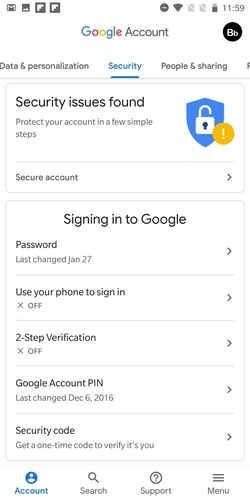 One can tap on the Google account to open a card from which they can quickly switch to another Google account. 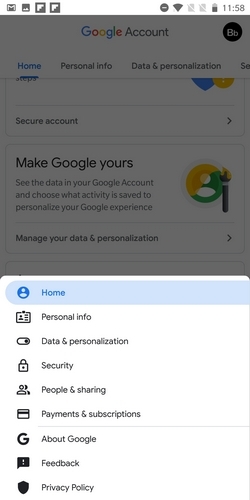 There are four icons at the bottom of the page, Account, Search, Support and Menu, which is simply a much better arrangement than the older layout. 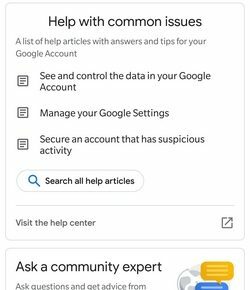 The Home page provides a general overview of your Google account and related activities and recommendations such as privacy reviews, security issues and storage settings among others in a card-like format. 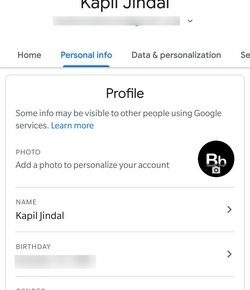 At the top of the page in the Account section, there are multiple sub-pages such as Personal info, where you can change your profile details and contact information. 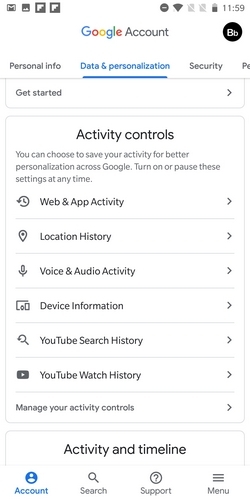 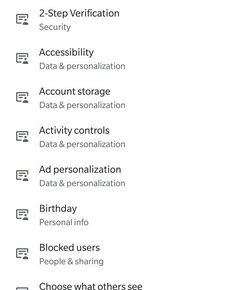 Data & personalization, Security, People & Sharing and Payments & subscriptions are the other sub-pages on the Account section where you can categorically review and tweak your Google account settings with relative ease. 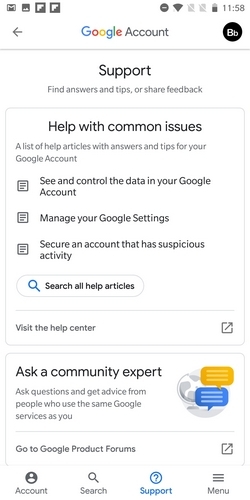 Then there is the Search section where you can easily discover any Google Account-related tool you can’t find in the settings, while the Support section hosts step-by-step guides and provides help with common issues via articles or by connecting with experts. 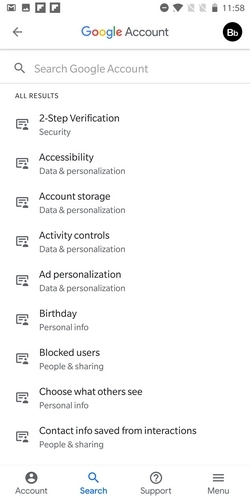 The Menu section is simply a collection of all the sub-page which are available in the Account section. 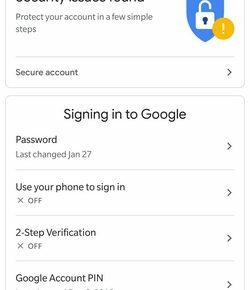 The new Material Design layout of the Google Account settings on mobile is now quite similar to the design of account settings on the web, which is quite convenient for users.